Conchas Lake State Park was established in 1955 and named after the Conchas River, one of the tributaries of the Canadian River. It is 24 mi north of Newkirk and 31 mi northwest of Tucumcari on NM–104 and NM–129 (Fig. 1). Conchas is Spanish for shells and was applied to a group of Indians living in the area when Spanish explorers arrived in the 17th century. The word conchas may be a corrupted name that is confused with the Spanish word conchos, a term also used to describe the Native American tribes in northern New Mexico. 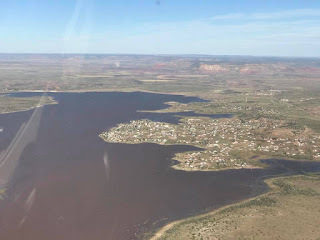 The dam that formed Conchas Lake was the 17th dam in the country built by the U.S. Army Corp of Engineers (Young, 1984). One of the state’s oldest dams, it was completed in 1939 to control floods, store water for irrigation and local supplies, and assist in local economic recovery from the Depression (Welsh, 1985). More than 3,000 people were employed to build this concrete and earthen dam that is 235 ft high and 1,250 ft long. The lake has a reservoir capacity of 528,951 acre-ft of water and sediment. It extends 14 mi upstream of the Canadian River and 11 mi upstream of the Conchas River. Ancient petroglyphs, marine fossils and tales of Spanish Conquistadors mark the past of Conchas Lake. 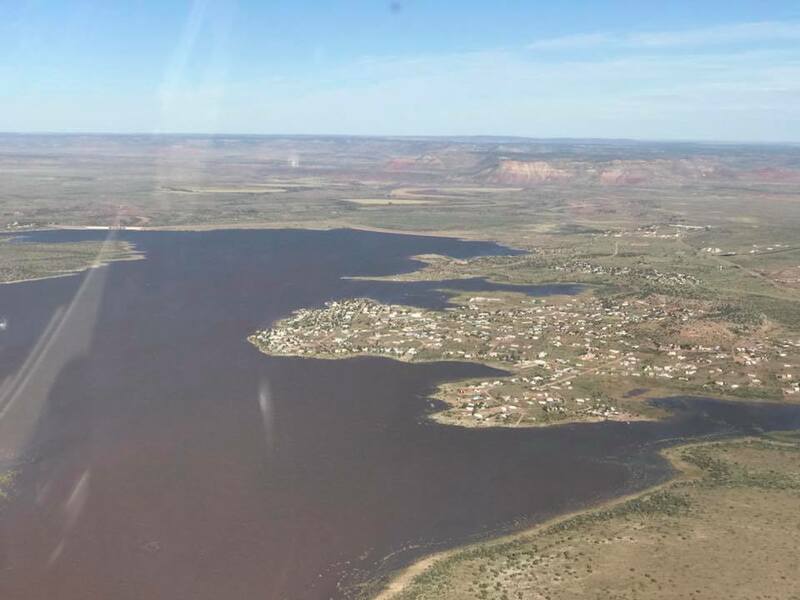 Today, twenty-eight different species of fish, including walleye, large-mouth bass and bluegill await the avid angler while many come to Conchas Lake for boating, water skiing, and swimming. Boating facilities include a marina, boat ramps on both the north and south side of the lake, and concessionaire stores that carry fishing and boating supplies. 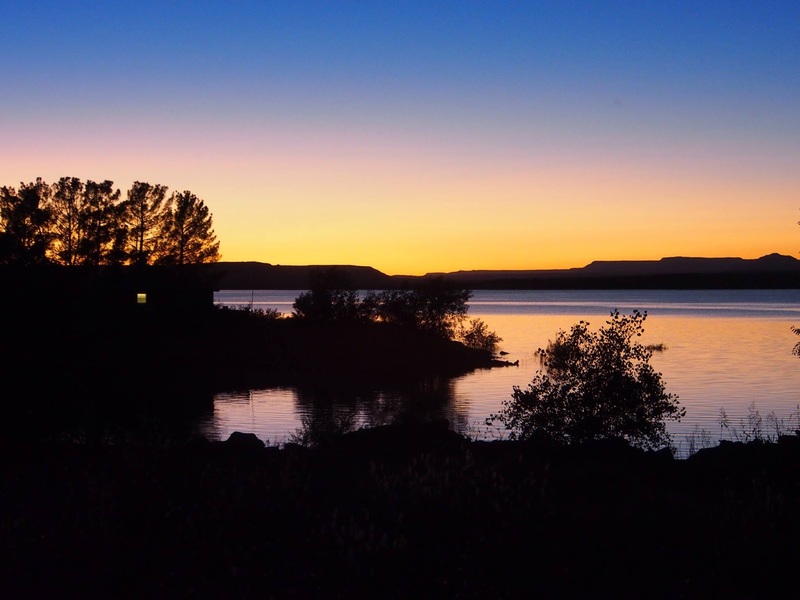 Three separate recreation areas provide a total of 200 campsites, and ample room to hike, picnic, or watch wildlife. Lodging facilities are available at the lake as well as a nine-hole golf course. Interpretive activities are offered at the Corps of Engineers Visitor Center or through New Mexico State Parks. This location is of historical significance because of the construction of Conchas Dam from 1935 - 1939 by the WPA (Works Progress Administration) during Franklin Roosevelt's New Deal era. 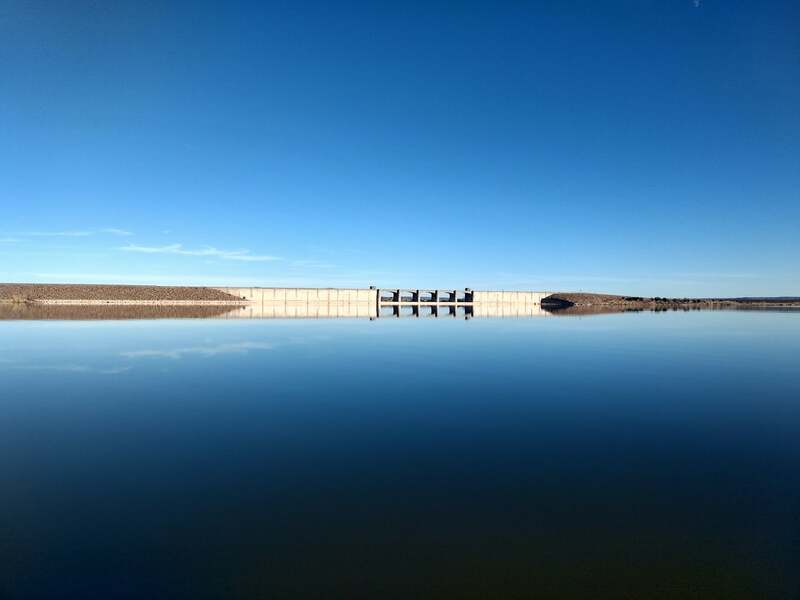 Conchas Dam became the 17th dam project built by the U.S. Army Corps of Engineers, and the first district in New Mexico was established here. 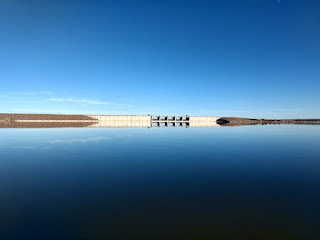 Conchas Dam is the oldest and one of the largest water projects of the US Army Corps of Engineers in New Mexico. Begun under the New Deal’s Emergency Relief Act of 1935, the construction of the dam and associated facilities provided employment for nearly 2400 people. The WPA supported school teachers for the children of the work crews and after the dam was completed, the work camp provided housing for CCC crews building onsite recreational facilities. Today the headquarters building is still in use, and five other units provide housing for staff. “Civilian Conservation Corps and other government employees dismantled the construction town following completion of the dam in 1939. The adobe blocks were salvaged and reused to build the Corps of Engineers’ permanent administration building and housing. These buildings stand today as examples of the historic and architectural resources of the New Deal in New Mexico.